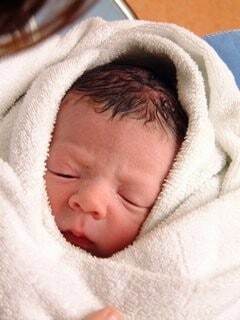 Over 13 years ago I had a natural birth with my first son. I was induced due to pre-eclampsia at 36 weeks, it was a 4 hour labour and extremely intense with no build up at all. I was 19, pretty scared and it was too late to have any pain relief. The gas and air made me feel sick so I refused it! I was being monitored constantly so was unable to move around and birthed on my back. If I knew then what I knew now I would have refused this as I suffered many back issues after this. So when I fell pregnant with my surprise identical twins I was pretty panicked by the thought of having a natural birth with them. How was I going to manage to get two out?! Also they said they would induce them at 36 weeks due to them being identical and the risks that go with that. So I was going to have to experience an induction labour all over again. I chatted to my consultant as the time got nearer and explained my fears, my on going back issues and he suggested that I had them by a Cesarean section. I had also done my research into Twin to Twin Transfusion Syndrome (TTTS) which can happen during labour. So I felt so much happier and relaxed knowing that it would be a calm birth, with no risk to damaging my back any further or the risks with the babies. My little ladies didn’t want to wait until 36 weeks for a planned caesarean section, they wanted to arrive earlier and after a couple of attempts to stop (with success) this time they weren’t being stopped. It was 33 weeks on the dot and they were arriving! 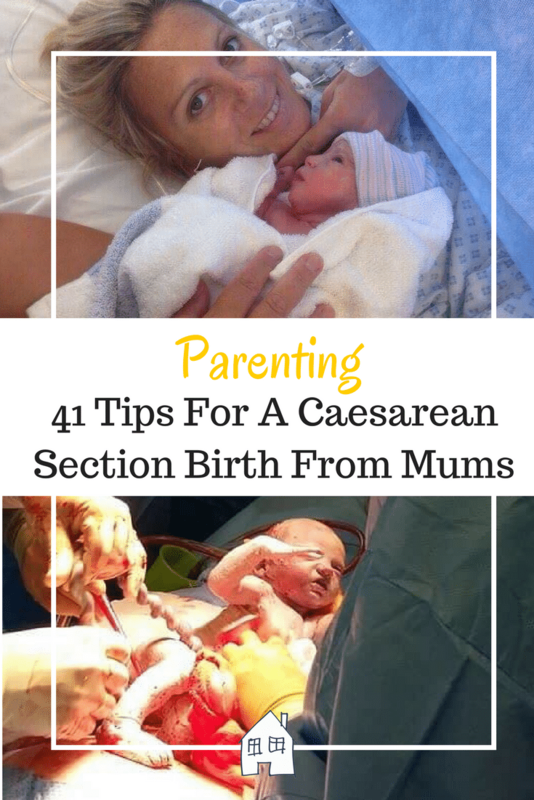 So as it is National Caesarean section month I thought I would reach out to the Mummy Blogger world and see what their top Caesarean section tips are. Wow did they come up with some! I hope this helps any pregnant Mums out there who have a section planned, possibility they might have one or Mums who have just had a baby by Caesarean section and didn’t know what to expect or to help them. A non spill sports cap water bottle to have in bed with you is essential. You need to stay well hydrated and the last thing you will want to do is keep reaching for the hospital cup on the table which is always out of reach. Limit your trips up the stairs. Have a changing mat downstairs with a basket full of all the nappy changing essentials. High waisted knickers, granny pants, M&S ones are the best! Honestly – if you’re 12-14- don’t just go up a size – go up about 5 sizes! Take a dressing gown, a nightie and a dress for coming home in. Get mobile as soon as you can and get up out of bed. Don’t push yourself though and take small steps each day. Lying there and not walking hurts far more. Ask for help and don’t expect you have to do it all. Whether it be someone taking a bit of washing away to do for you or putting things away when they come to visit. Let people do your shopping and cleaning don’t be proud about it all, you will struggle to do very much and you don’t want to over do it and set yourself back. Ignore anyone who tells you a c section is the easy option! Have comfortable trousers to wear for afterwards – ideally something without a waistband and seamless that will dig in. Be prepared for the worst ever constipation, and feeling like your insides are falling out the first time you get up. Stock up on prune juice & lactulose to help with the first poo! Try to avoid eating gassy foods or those that cause constipation. The pain that builds up in the lower abdomen if you do the first week or so after the op can be utterly unbearable! Windeze tablets, senokot, orange juice and peppermint tea for the trapped wind. Peppermint water in hospital helps so much with trapped wind, and having peppermint cordial and tea at home can really help too. Attach extra large sanity pads to the inside of your knickers over where your stitches are. Sticking the sticky part to your knickers to keep it in place. It stops your waistband and clothes rubbing or use a rolled up muslin. Roll up a hand towel and press across your incision line when you need to poo! It stops it feeling like everything is about to open up and fall out! Use lots of pillows after to sleep as upright as you can. Not only does this make it easier getting up but reduces the risk that you’ll turn over in your sleep and pull on your stitches! If for any reason you need to be put to sleep then make sure you ask for pictures to be taken with you and baby for when you wake up. Use a sponge or flannel and if you have a bit of overhang make sure you dry out the area thoroughly after a shower. Have a gentle C section! Oh. And ask for/pay for a private side room. We were able to do this in Swindon. Being calm and quiet really helps with bonding and recovery. Once in the shower, don’t turn the heat up too much … the combination of a headrush having been laying down for ages, combined with the heat/steam, made me faint!! If you’re having a scheduled section as I did for my first because he was breech them take the opportunity to stock your cupboards up with an online shop for when you come home! My second baby was a VBAC and came early by surprise and we had nothing in and had to stop in at the pub on the way home for a Sunday roast! Take an extra pillow into hospital to put across your tummy. I felt like my insides were going to fall out when I laughed/coughed but the pillow made me feel more “secure”. The one thing I needed to hear after my emergency c section was that I would feel more comfortable and able to walk within a week. I had no ideas on that first day how long I would be so immobile. I had visions of being stuck on my back and rolling around for 6 weeks. When it’s so unexpected it can be a shock. Don’t listen to the opinion of anyone who hasn’t had a c-section. 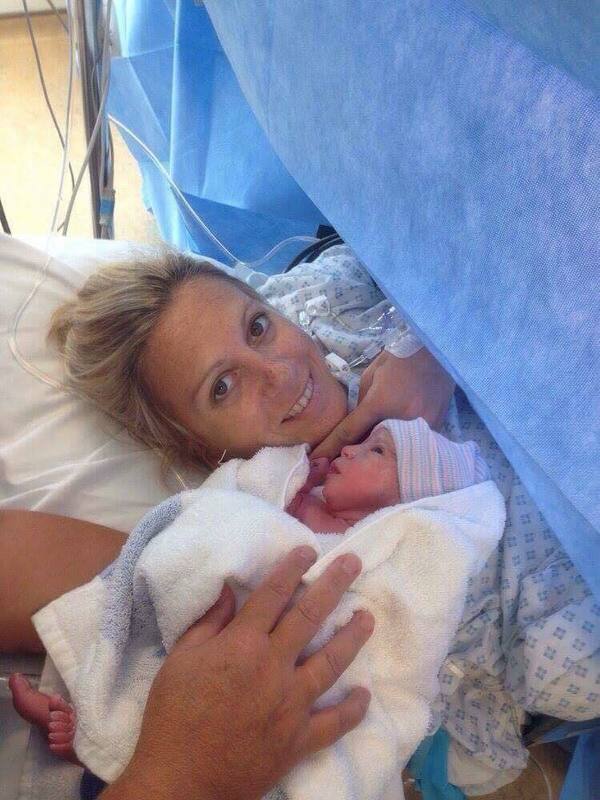 My own sister told me she’d rather give birth out of her arse, 1 hour before my c-section (my baby couldn’t wait any longer to be born). It was really unhelpful! Not to look in anything shiny above you in theatre unless you want to see the birth. Be prepared for a Punch and Judy style introduction to your child as it’s lifted over the screen for you to see; try and keep a sense of humor! Take a zinc supplement during pregnancy. Zinc is fantastic for skin health and healing. Lots of lavender baths and just be gentle on yourself and know that the difficulty in the beginning will pass and you will get back to your active self soon enough, even if it feels like you will never get there. Oh gosh that is identical isn’t it! The no gap between contractions was hard going and no build up to the contractions too. Pretty big shock! I waited nearly 5yrs! Great tips! I’ve had 2 emergency sections so a gentle one was out of the question. I didn’t care whether they were gentle or bouncing around to Ozzy Osborne – I just wanted my babies out. However, if I had chosen a section, I would have definitely requested a gentle one. hehe! I know that feeling very well! Great tips! I have an emergency section with my second son and was totally overwhelmed and unprepared for it all. I think its worth researching just incase as you just never know! I’m not quite in this position yet but I’m sure this post will be useful to many. Great tip for wet wipes – if theres anything IN know about parenting you will always need some on hand so good to start at the beginning! Yes I love a good wet wipe!!! They come in handy so much even when your not a parent!! This is a great post, especially for expectant mums. I didn’t have anything like this to refer to during my pregnancy and was terrified of a possible c-section. I didn’t have one but rwading something like this would have put some of my fears to rest! I’ve done birth both ways. For a cesarean I would say take baggy clothes – and that includes baggy sleeves as there will be a cannula in your hand. I don’t think arnica does anything if it’s homeopathic but ice is good for bruising. I was surprised that after 3 weeks I could wear myself out with a mere 2 mile walk. Oh yes baggy sleeves, good tip as I remember that squeezing past the drips and stuff. Great tips! 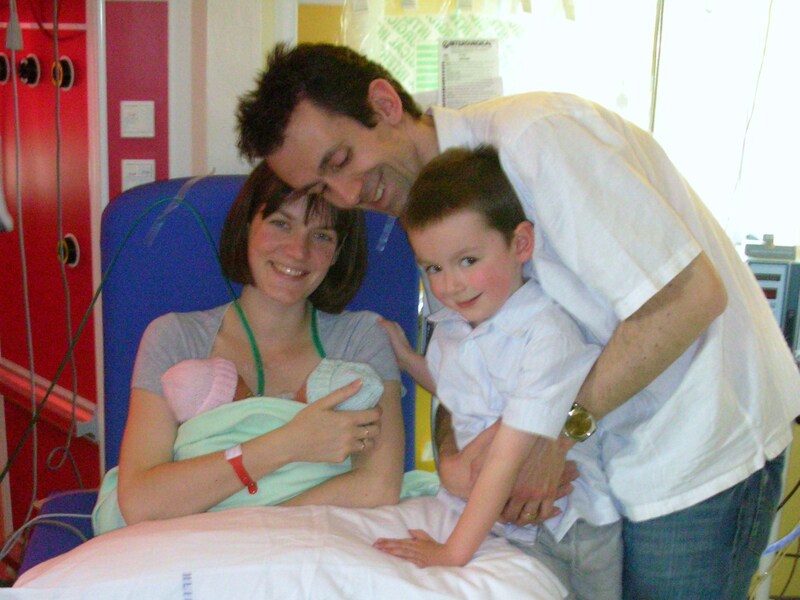 I had a natural birth with my first and a c-section with my second and I certainly felt that I recovered much more quickly the first time around. I’m sure this is different for everyone but it’s great to have tips like these to help prepare a little bit. A good bunch of tips here! I had two natural births, but this is definitely something I would have wanted during my pregnancy to prepare me if I had need a cesarean. I had a section too. It was the safest option for my twins and me. I agree with your tips here. Thank you, yep safest way out is the best way. Whatever way that is! Great tips! I was lucky enough not to need a c-section for any of my five, but this is helpful to those who did! Fab tips – I’m due our second baby in June and hoping for a home birth but it’s good to have these just in case things don’t go to plan!